Blogger was always easy to use, but it was not Awesome as it is right now. We create preimum and professional Blogger templates that are awesomely productive but are also of pure quality. Each and every code is tested by our skilled developers. We test it like gazzilion times before releasing it in public. The templates are pure combination of developers genius behavior and the result of customer satisfaction. 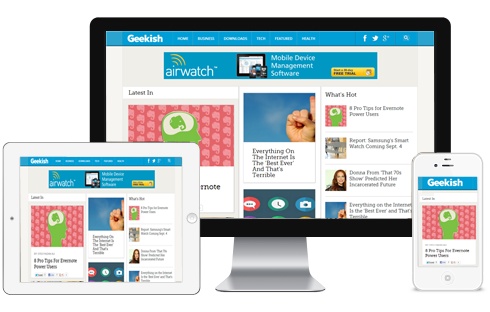 Get your blogger site a smart and elegant look,by buying any of out premium templates. So, What are you waiting for? Go earn the true awesomness. We design templates with nicer and better design. What your user see? They see how professional your website looks? So we combine both termanologies to make sure that our design is both elegant and professional at the same time. "We care about our customers, as much as they care about their users." Our templates package consistanly maintained with the latest and professional coding standards all wrapped up with nice and elegant blueprint. They are build by highly qualified developers seeking degrees of Software and computer enginearing. "We also includes PSD sources, making it easier for you to apply and customize it with ease." Use a QR Scanner to easy view it on your Device and enjoy the Awesomeness with style. "We just not create templates, we take them to the next level so it can bring smile on our customer's face when he see his traffic growing"
We have been working with blogger templates since 6 years now. Therefore, we know how things are done with absolute perfection. Not only, to make our clients happy but at the same thing bring awesomness to their website. 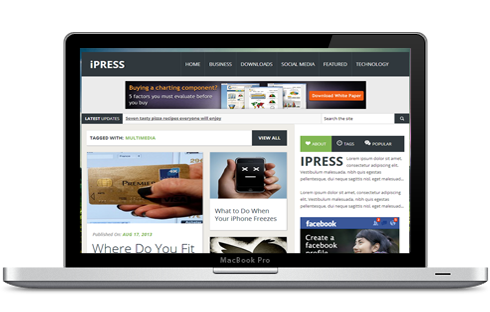 We are the first and currently the only one Blogger template eStore site. Its our moto, renovating your blogger blog with Awesomness.